At Next Reality, we've been following the Microsoft Hololens because of its enormous potential. Unlike virtual reality, which enshrouds the user in a complete virtual world, augmented reality melds the virtual with what's really there in front of you. And while some of us may use AR technology to stealthily surf the web during working hours, others are looking towards using AR for the betterment of society. Like putting the HoloLens in space. VTT Technical Research Centre of Finland has successfully designed and tested a new AR tool for the European Space Agency (ESA). Their mission was to make complex and focused tasks such as maintenance simpler by displaying necessary data over the task the astronaut is physically working on. The major benefit is the real-time location of the point requiring maintenance. This information is transmitted to the astronaut's AR glasses explicitly and at the right time by using text, graphics, video, sound etc. The system displays detailed visual instructions on the astronauts' AR glasses, guiding them step by step to perform the necessary procedures in the right order, such as "now press this button", "then turn the lever (B)". These AR glasses could cut an astronaut's work times in half, considering many of these tasks requires the constant division of focus between the task at hand, and reference materials for getting it done. (For those of you who have ever purchased something from IKEA, you know exactly what we're talking about.) Astronauts can also be fed essential information from all points on the space station. Instead of floating all over the station to inspect measurings, readings, and other items. The successful test was conducted on the ground in Germany, so VTT's technology has not yet been piloted in space yet. 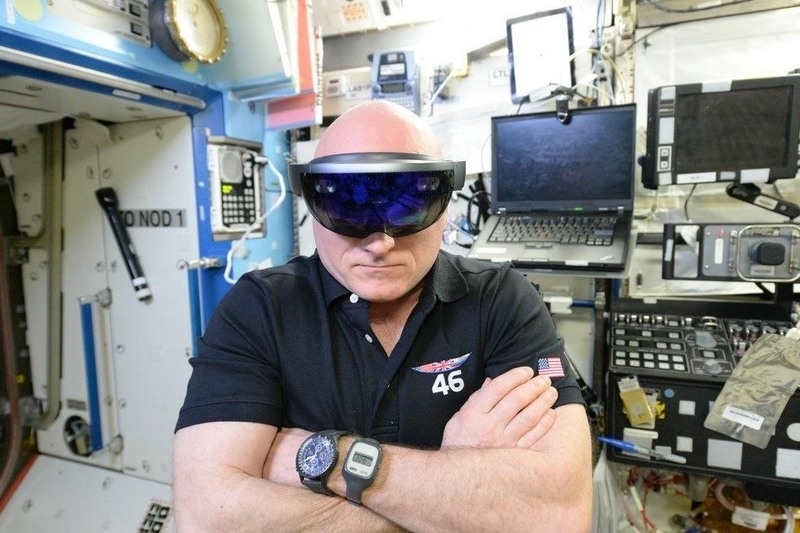 However, the HoloLens itself has already traveled in space to the International Space Station (ISS) for NASA's Sidekick project, and has been used by astronauts up there since December 2015. NASA's project is very similar to the one for the ESA, so it'll be interesting to see how they compare when they're both in the ISS at the same time.